Last September, I wrote a blog post about my amazing trip to San Diego to take part in the Leadership Exchange in Arts and Disability (LEAD) conference and training. I can point to this experience as the single most helpful event in my professional training as an accessibility coordinator. Although I’m sure we all wouldn’t mind a trip to the beach, Kentucky’s cultural administrators are lucky to have this same opportunity brought directly to us by the Kennedy Center for the Performing Arts. 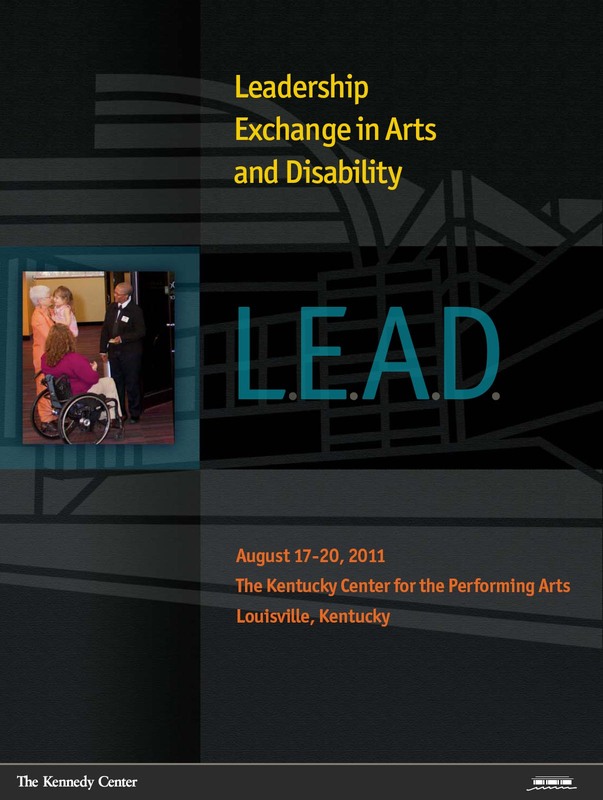 LEAD will be hosted by the Kentucky Center from August 17 – 20, 2011. Attendees have great things to look forward to according to the LEAD website. Conference session topics include access basics, audience building through access, legal issues for arts administrators, emergency evacuations, access technology updates, web accessibility for administrators, social media with accessibility in mind and more. If you are responsible for access services at a museum, nonprofit gallery, theater, arts and cultural center, state park, library or any other place with art for the public, then LEAD is the perfect training opportunity. If your organization does not have someone assigned to access services, now is the time to train someone! The Kentucky Arts Council is deeply committed to access in the arts, and we recognize that this is a rare opportunity to have LEAD so close. We have partnered with the Kennedy Center to make available some special offers to arts and cultural organizations in Kentucky. For more information, contact Sarah.Schmitt@ky.gov.